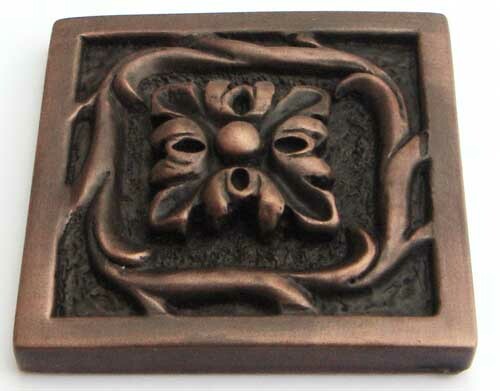 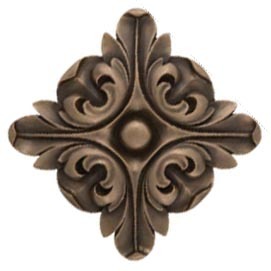 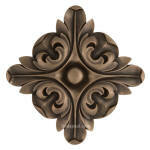 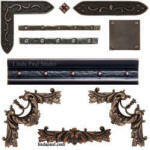 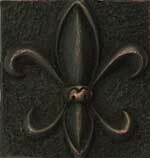 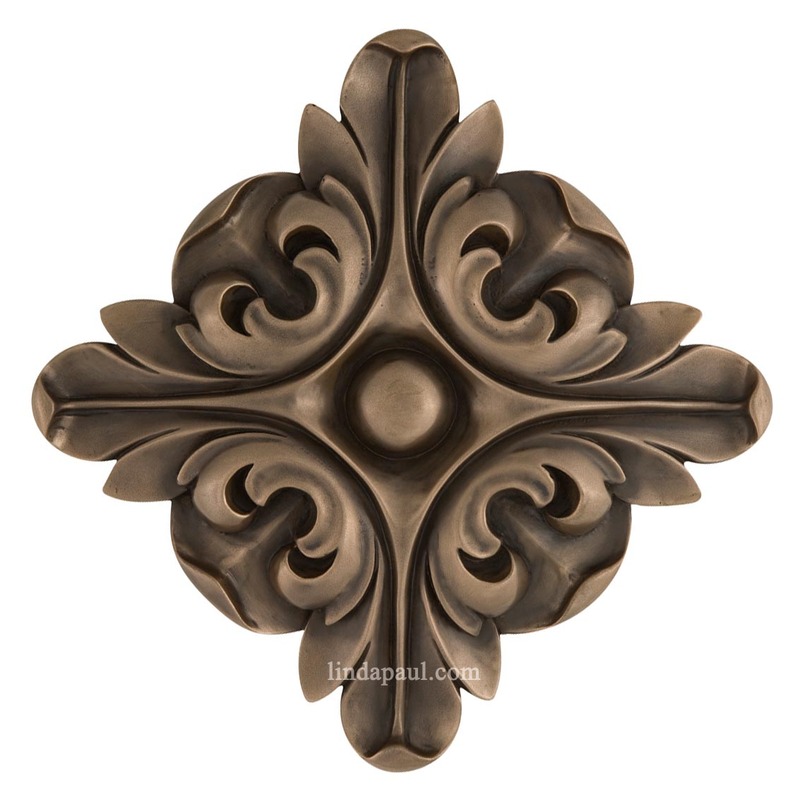 Collection of metal flower accents and onlays for kitchens, wine cellars etc. 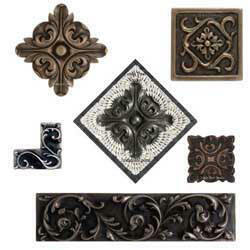 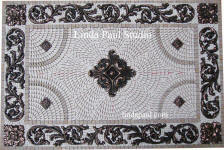 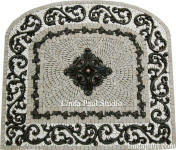 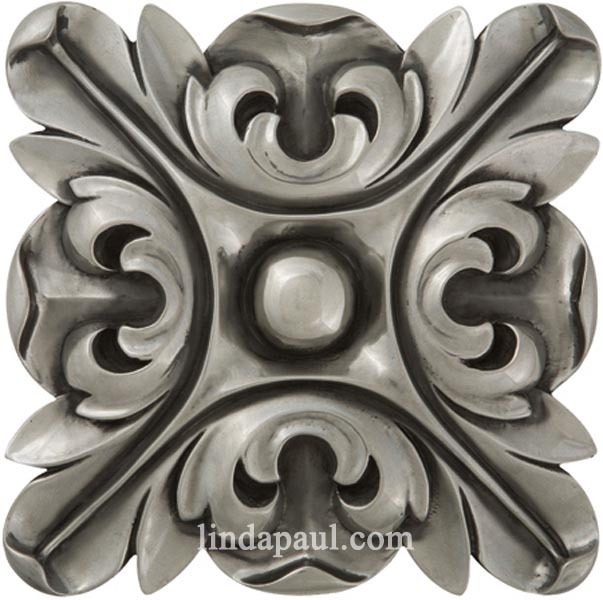 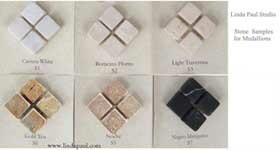 These beautiful decorations can be inserted between tiles or glued on top of tiles, stucco walls, wood or any material. The relief and 3-d effect on these tiles is amazing. 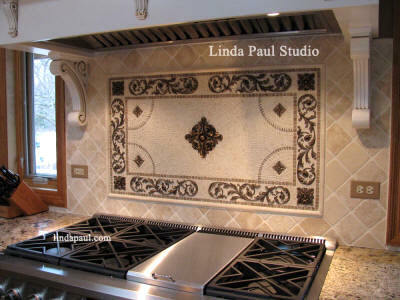 They can be used indoors or in outdoor kitchens and patios. 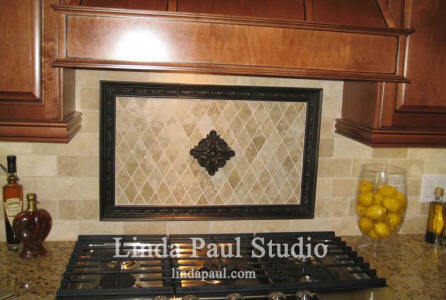 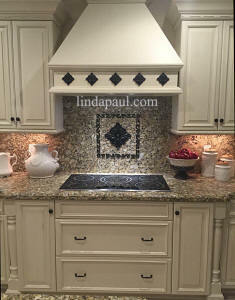 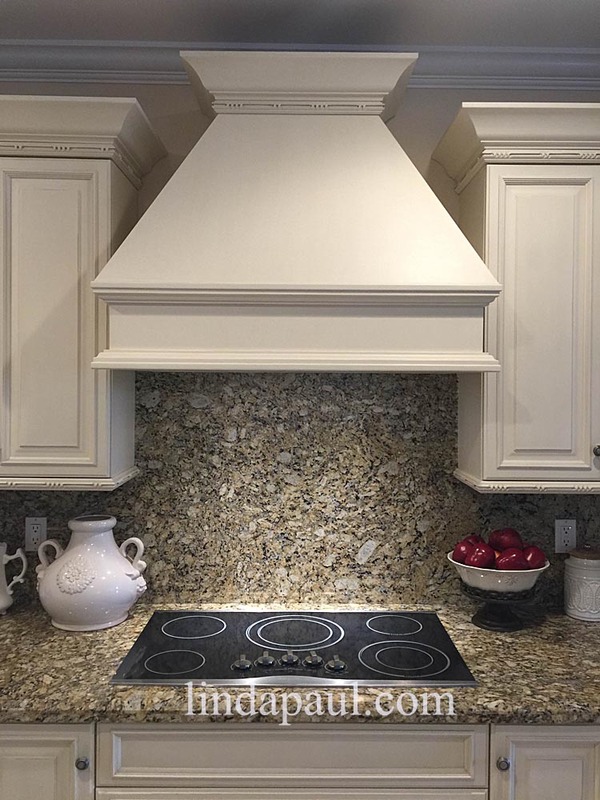 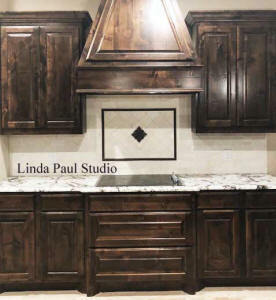 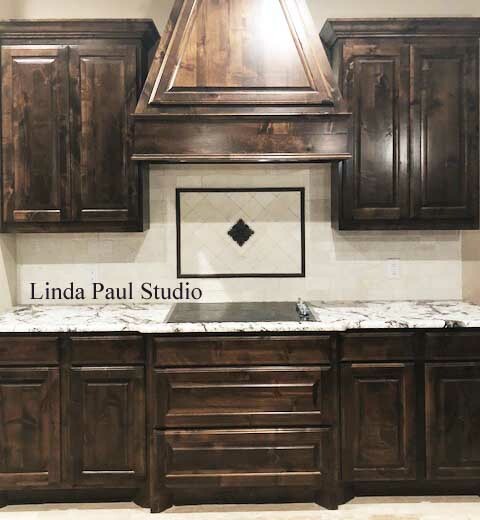 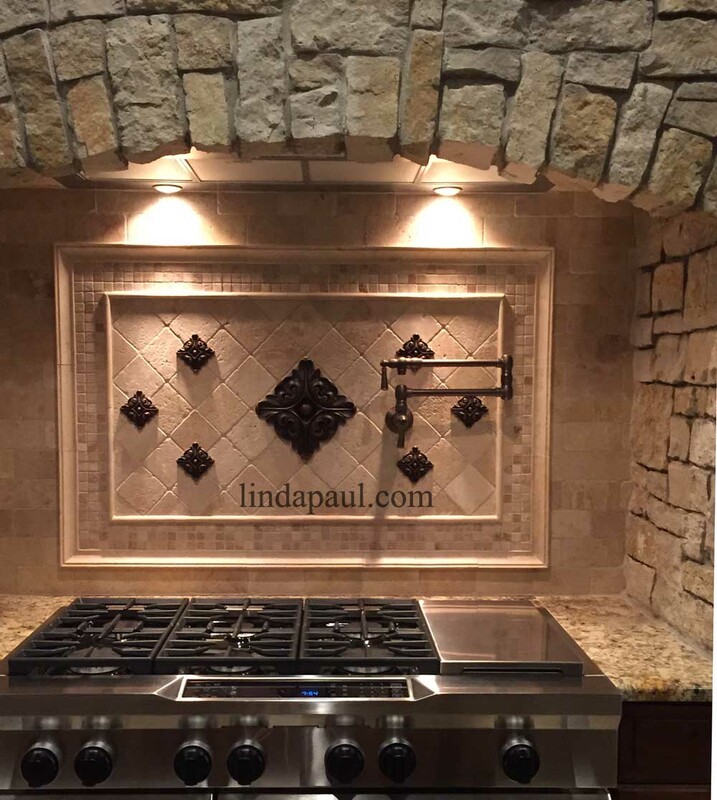 Customer's kitchen with a 5" x 5" Rachels flower accent and 1" x 12" Tumbled large bar liners in bronze antique patina. 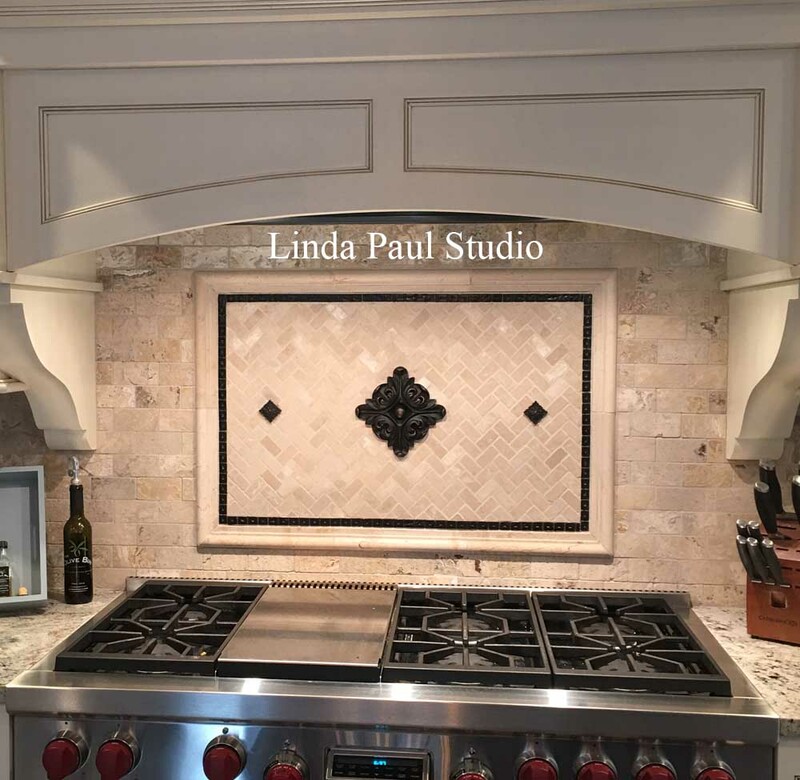 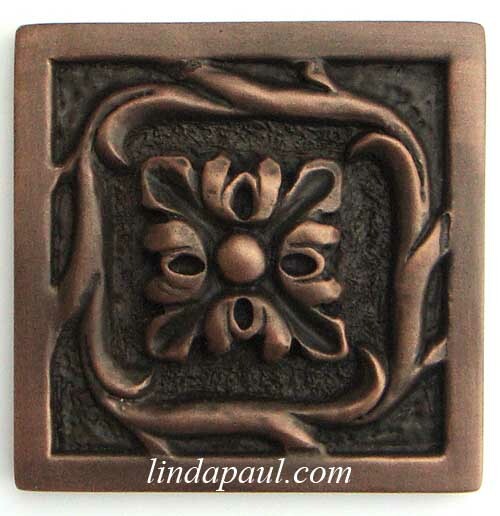 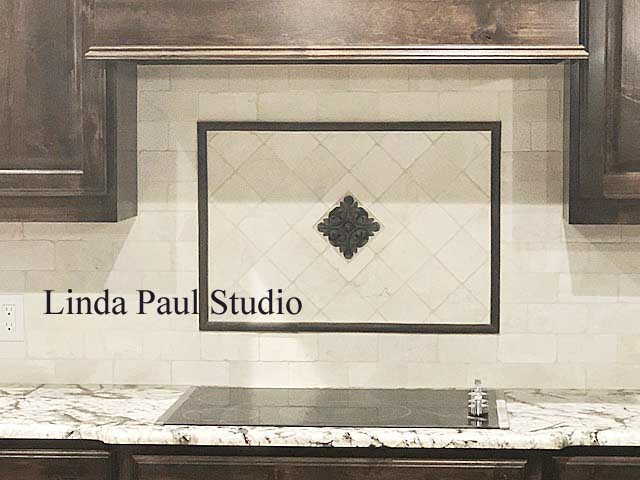 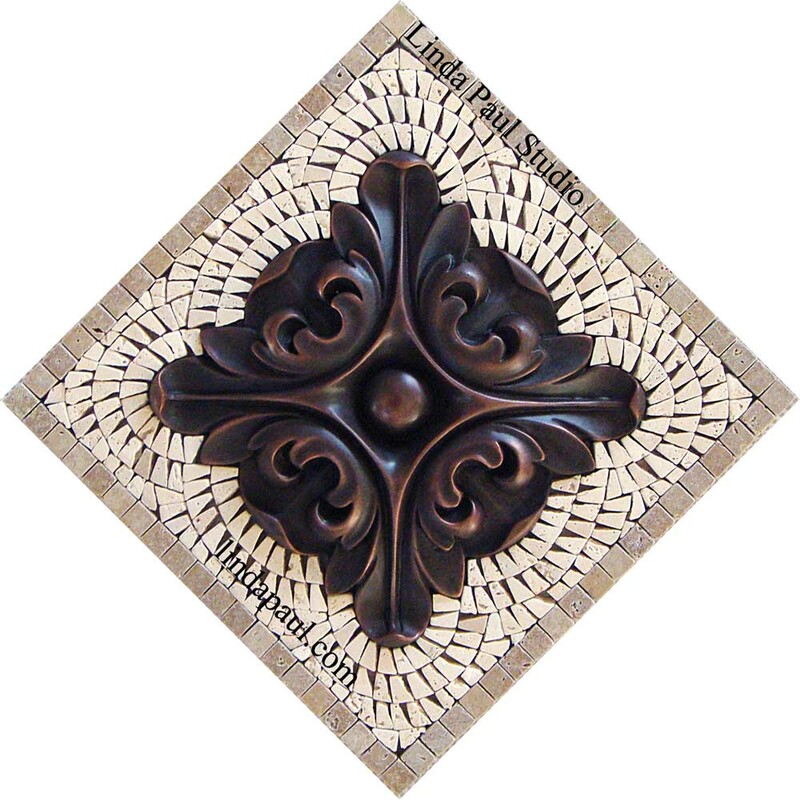 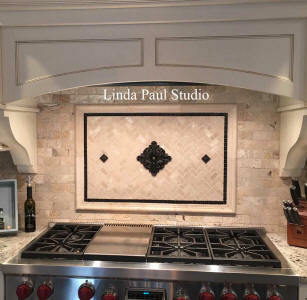 This fabulous tile design uses just 7 Rachel's Flower accents to make a big impression. 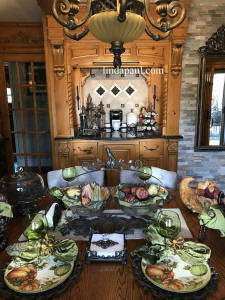 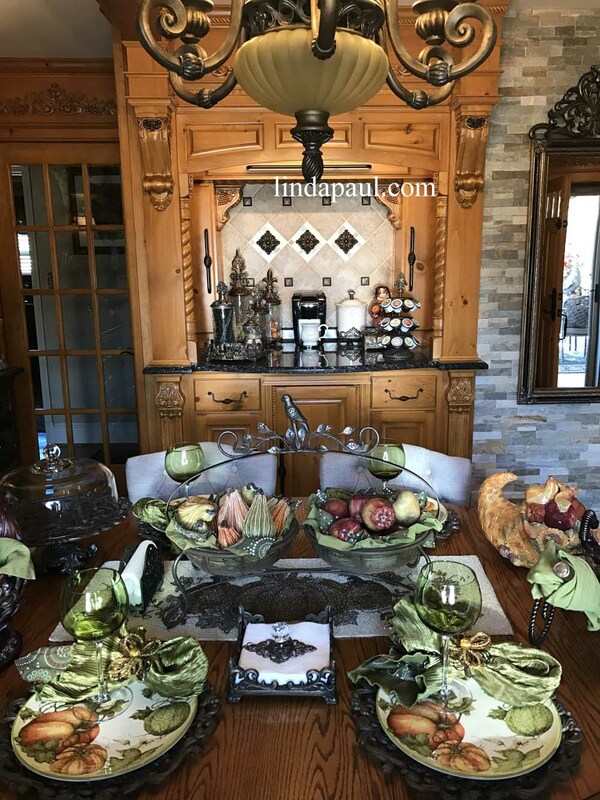 My customer Shirley has the spirit and color of the Thanksgiving season in her charming dining room. 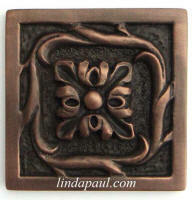 She installed 3 of our Rachel's flowers tile accents in the coffee bar at the back. Before and After Pictures of a granite splash and hood with Rachel's Flowers and Romanesque baby onlay and corners in bronze oil rubbed. 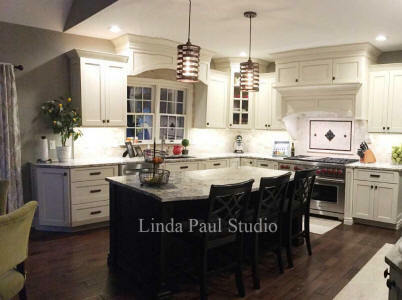 Its transformed from plain to spectacular! 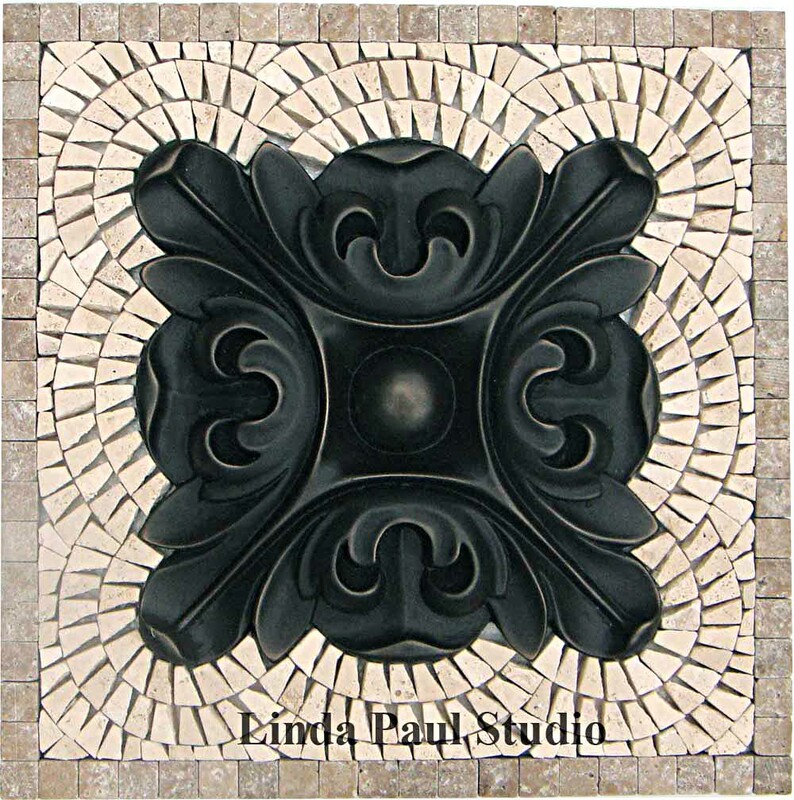 Custom 42" x 24" Rachel's Flower medallion with modified Bellagio Scroll border, 6" x 6" Rachel's Flower center, 3" x 3" Rachel's Flowers in corners. 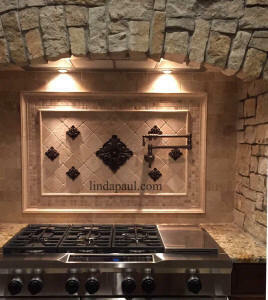 Metal Finish is Bronze High Polish with S5 Noche and S3 light Travertine Stone tile. 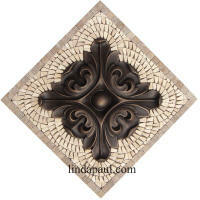 2" x 2" Pandora accents in center 1/4 circle area. 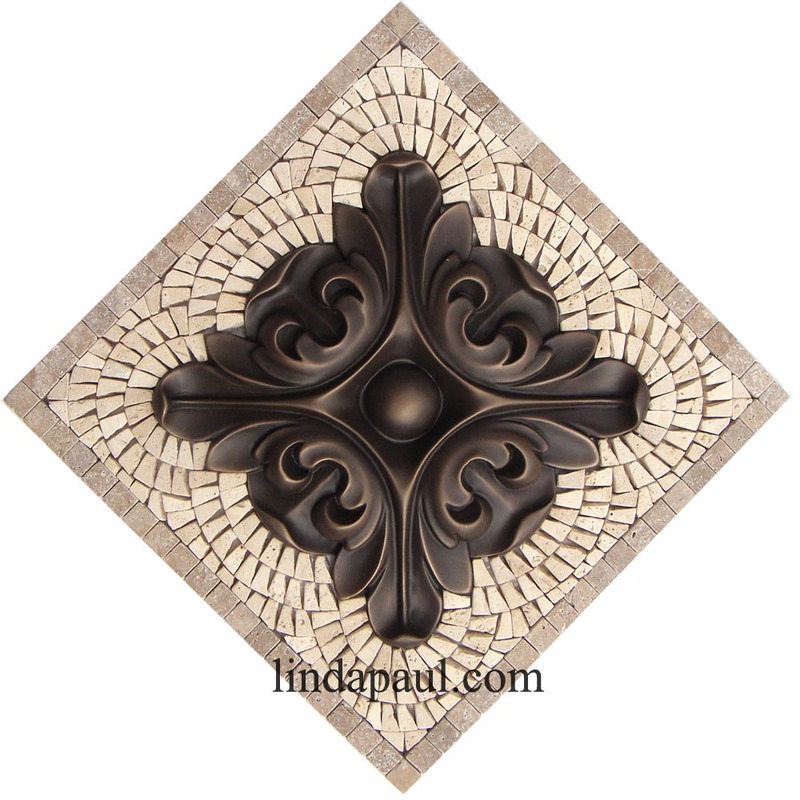 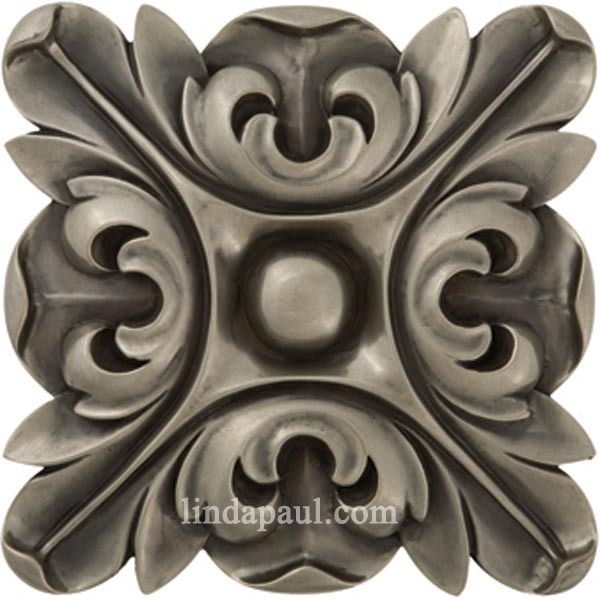 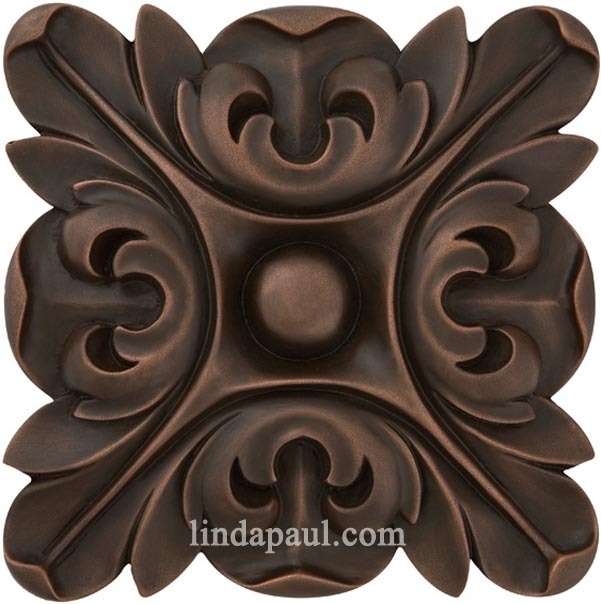 Pencil tile molding around the medallion is not included.